RedSnake Enterprises, LLC is the creator of the top rated solunar tables iPhone app, iSolunar Hunting & Fishing Times. Using the GPS feature of the iPhone, iSolunar™ combines precise astronomical data from the US Naval Observatory with the time-tested solunar theory to provides users with the best hunting times for any date, any location — worldwide. Visit http://i-solunar.com for more information about solunar tables and how to use this great hunting app to maximize your deer hunting success. Deer Tactics & Calls Now Available on iTunes! Deer Tactics & Calls — the most comprehensive collection of deer calls and deer sounds for the iPhone — is now available on the iTunes App Store. 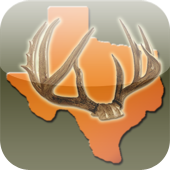 Download Deer Tactics & Calls today and have all the deer sounds at your finger tips!